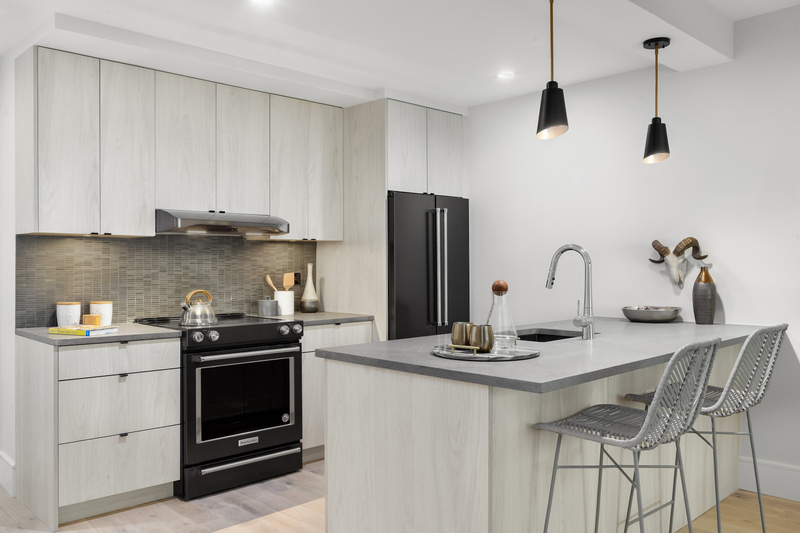 Brooklyn is seeing a flurry of new developments including15 E 19th Street, Prospect Park South which features a boutique selection of 33 apartments within a rare cul-de-sac. 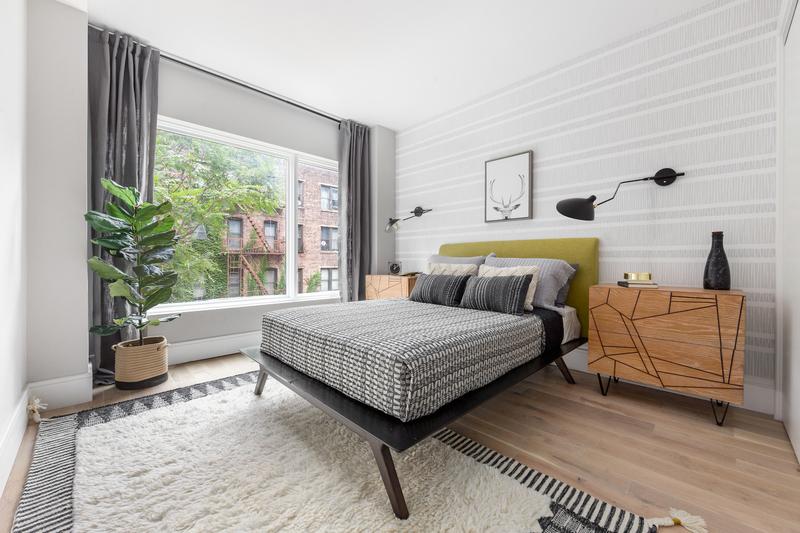 Prospect Park South is situated at the crossroads of Windsor Terrace, Flatbush, and Prospect Lefferts Gardens. The historic neighborhood is defined by beautiful Victorian houses and wide tree-lined streets. This unit is a two-bedroom home facing east with an oversized balcony. Serene garden views can be enjoyed through oversized double-pane windows. 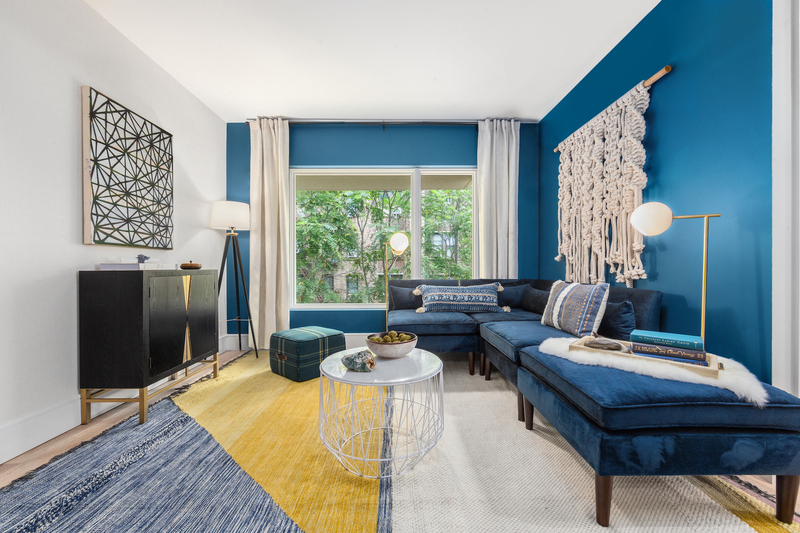 The home has refined and contemporary finishes and 5-inch oak plank nail down hardwood floors in a matte finish. The simple and elegant kitchen is artfully designed in restrained neutral tones with custom Egger white Cape Elm cabinetry with an island, polished Basaltina countertops, mosaic basalt granite backsplashes, KitchenAid black stainless appliances and an integrated dishwasher with custom panel and a recirculating Broan hood. 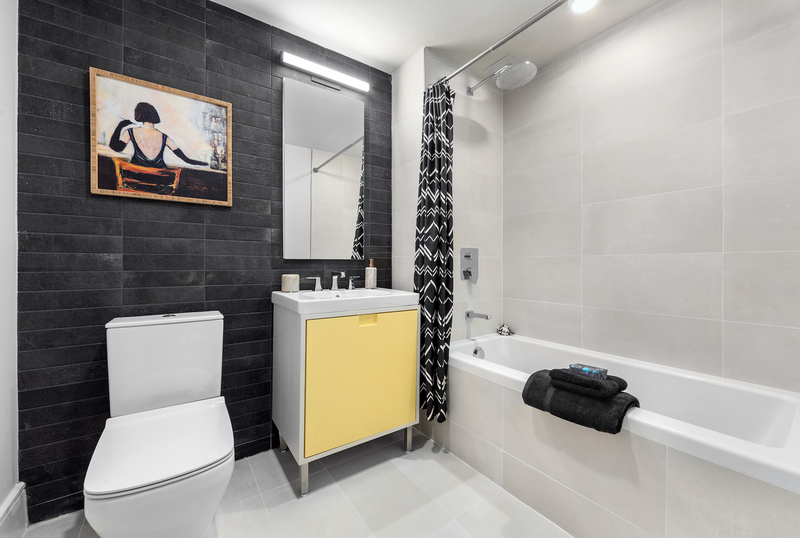 The unit has two contemporary bathrooms adorned with an assortment of elegant natural materials in a thoughtfully-curated aesthetic, graced by the contrast created between the vertically-stacked charcoal wall tile and the oversized snow white floor tile and heated floors. The bathrooms have custom vanities with a medicine cabinet and Aquabrass polished fixtures, rainfall shower-heads, and deep soaking bathtubs. The homes feature modern recessed lighting, quiet split A/C & heating units, and washer/dryer hookups. The building has a common roof terrace, bicycle storage, and a fitness center. This unit is listed by The Tavivian Team at Douglas Elliman for $785,000.